Embryonic patterning in C. elegans begins during the first few divisions of the fertilized egg as sister cells become committed to distinct developmental fates. These early cell fate decisions are controlled by a small set of genes that together encode several basic developmental functions, including; (a) genes whose products organize the cytoskeleton and establish the initial polarity of the embryo, (b) genes that encode cell signaling pathways, (c) genes whose products regulate mRNA translation and protein stability, and (d) genes that encode positive and negative regulators of transcription. The long term goal of this lab is to better understand how these and other, as yet unidentified, genes function to coordinate the spatial and temporal patterning of the embryo. Our experimental approach employs classical and reverse genetic techniques, molecular biology and biochemistry. A powerful new tool for our studies of embryogenesis (and a new area of research interest for the laboratory) involves a reverse genetic method called RNA interference or simply "RNAi." This method is similar conceptually to "antisense" however the active agent appears to be double stranded RNA and the interference effect is remarkably specific, potent and long lived. RNAi is having a truly dramatic impact on research in this organism making it possible to easily induce "knock out" phenotypes for nearly all worm genes. We are now investigating the genetics of the interference mechanism in the hope that we can better understand and use this tool. Perhaps we will learn to transplant or activate similar genetic interference mechanisms in other organisims. A 28-cell stage C. elegans embryo stained with Dapi to reveal nuclei (blue) and with a monoclonal antibody raised against the PIE-1 protein (red). The PIE-1 protein is observed in the fertilized egg and is sequentially restricted to the germline stem cell after each division in the embryo. PIE-1 functions to prevent the germ cell from differentiating in response to somatic determinants and signals which are actively patterning the embryo during this time. Understanding the localization and function of PIE-1 is a major goal of research in our laboratory. A 2-cell C. elegans embryo divides to produce 4-cells in this series of images. On the left Nomarski microscopy reveals the grainy yolk droplets in the cytoplasm and the smooth circular nuclei in the center of the cells. On the right, the same embryos are imaged to visualize GFP (Green Fluorescent Protein) which has been tagged onto the PIE-1 protein. 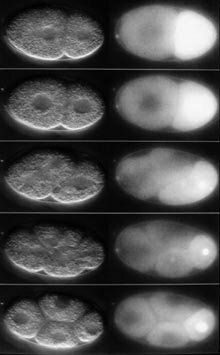 During this sequence of images, the PIE-1::GFP fusion protein first becomes nuclear, then during mitosis associates with the centrosome (middle panels), finally after cell division the protein re-enters the nucleus. PIE-1 functions to prevent the germ cell from differentiating in response to somatic determinants and signals which are actively patterning the embryo during this time. Understanding the localization and function of PIE-1 is a major goal of research in our laboratory. We are using this GFP construct to follow PIE-1 protein in mutant backgrounds and to determine what parts of the PIE-1 protein control its embryonic and subcellular localization. Grishok, A., Shin, T-H. Tabara, H., and Mello, C.C. (2000) Genetic requirements for the inheritance of RNAi in C. elegans. Science, 287, 2494-2497. Parish, S., Fleenor, J., Xu, S., Mello, C., and Fire, A. (2000) Functional anatomy of a dsRNA trigger: differential requirements for the two trigger strands in RNA interference. Molecular Cell 6, 1077-1087. Grishok, A., Pasquinelli, A.E., Conte, D., Li, N., Parrish, S., Baillie, D.L., Fire, A., Ruvkun, G., and Mello, C.C. (2001) Genes and mechanisms related to RNA interference regulate expression of the small temporal RNAs that control developmental timing in Caenorhabditis elegans. Cell 106, 23-34. Soto, M.D., Qadota, H., Kasuya, K., Inoue, M., Daisuke T., Mello, C.C., and Kaibuchi, K. (2002) The GEX-2 and GEX-3 proteins are required for tissue morphogenesis and cell migrations in C. elegans. Genes & Development 16, 620-632. Bei, Y., Hogan, H., Berkowitz, L.A., Soto, M., Rocheleau, C.E., Pang, K-M., Collins, J. and Mello, C.C. (2002) SRC-1 and Wnt signaling act together to specify endoderm and to control cleavage orientation in early C. elegans embryos. Developmental Cell (in press). Tabara, H., Yigit, E., Siomi, H., and Mello, C.C. (2002) The dsRNA binding protein RDE-4 interacts with RDE-1, DCR-1, and a DExH-Box helicase to direct RNAi in C. elegans. Cell 109, 1-20. Project #1: Identify and characterize genes that control cell fate and cell polarity during early C. elegans development. Project #2: Identify and characterize genes that mediate RNAi. Dr. Pachauri is the Director-General and Chairman of IPCC (Intergovernmental Panel on Climate Change. 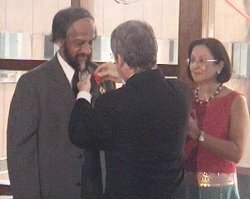 Dr. Pachauri has had numerous awards conferred on him including France's highest award, Officer of the Legion of Honour award. The Legion of Honour was created to reward eminent military and civil merits in the service of France; and is the highest distinction that can be conferred in France on a French citizen as well as on a foreigner. Founded in 1802 by Napoleon Bonaparte, the Legion of Honour is one of his most important creations with the Napoleonic Code. Dr Rajendra K Pachauri was born in Nainital, India, on 20 August 1940. He assumed his current responsibilities as the head of TERI (Tata Energy Research Institute) in 1981, first as Director and, since April 2001, as Director-General. TERI does original work and provides professional support in the areas of energy, environment, forestry, biotechnology, and the conservation of natural resources to government departments, institutions, and corporate organizations worldwide. Dr Pachauri has been elected as), established by World Meteorological Organization and United Nations Environment Programme in 1988. He has taken charge as Chairman, IPCC from 20th April 2002 onwards. He has been active in several international forums dealing with the subject of climate change and its policy dimensions. To acknowledge his immense contribution to the field of environment, he has been awarded the Padma Bhushan -- one of India's highest civilian awards that recognizes distinguished service of a high order to the nation in any field (January 2001). Commencing his career with the Diesel Locomotive Works, Varanasi, where he held several managerial positions, Dr Pachauri joined the North Carolina State University, Raleigh, NC, USA, where he obtained an MS in Industrial Engineering in 1972, a PhD in Industrial Engineering and a PhD in Economics, and also served as Assistant Professor (August 1974 -- May 1975) and Visiting Faculty Member (Summer 1976 and 1977) in the Department of Economics and Business. On his return to India, he joined the Administrative Staff College of India, Hyderabad, as Member Senior Faculty (June 1975 -- June 1979) and went on to become Director, Consulting and Applied Research Division (July 1979 -- March 1981). He joined TERI as Director in April 1981. He has also been a Visiting Professor, Resource Economics at the College of Mineral and Energy Resources, West Virginia University (August 1981 -- August 1982); Senior Visiting Fellow, Resource Systems Institute, East -- West Center, USA (May -- June 1982); and Visiting Research Fellow, The World Bank, Washington, DC (June -- September 1990). Recognising his vast knowledge and experience in the energy -- environment field, the United Nations Development Programme appointed him as a part time Adviser in the fields of Energy and Sustainable Management of Natural Resources, 1994 -- 1999.
committees and boards, which on the international level include Member, Board of the International Solar Energy Society (ISES), 1991 -- 1997; Member, World Resources Institute (WRI) Council, 1992; Chairman, Work Group A -- World Energy Council (WEC) Committee on Developing Countries, 1993 -- 1995; President (1988), Chairman (1989 -- 90), International Association for Energy Economics (IAEE), Washington, D C .; President, Asian Energy Institute, 1992 onwards. Committees of the Government of India which he has served include Member, Panel of Eminent Persons on Power, Ministry of Power; Member, Delhi Vision -- Core Planning Group; Member, Advisory Board on Energy (ABE), Government of India, 1983 -- 1988 (The Board reported directly to the Prime Minister of India); Member, National Environmental Council, Government of India under the Chairmanship of the Prime Minister of India, November 1993 and April 1999; Member, Oil Industry Restructuring Group, "R" Group, Ministry of Petroleum and Natural Gas, Government of India, 1994. He has also served on academic and research institute bodies including Member, Board of Governors, Trireme Scientific & Industrial Research Foundation, September 1987; Member, Executive Committee of the India International Center, 1985 onwards; Member, Governing Council of the India Habitat Center, New Delhi, October 1987 onwards; Member, Court of Governors, Administrative Staff College of India, 1979 -- 81. In January 1999, Dr R K Pachauri was appointed as Director, Board of Directors of the Indian Oil Corporation Limited (a Fortune 500 company) for a period of 3 years. 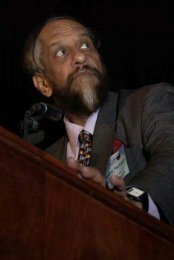 In April 1999, Dr R K Pachauri was appointed as the Member, Board of Directors of the Institute for Global Environmental Strategies (IGES), Environment Agency, Government of Japan, for a period of 3 years. In September 1999, Dr R K Pachauri was appointed as the Chairman, The Darjeeling Himalayan Railway Heritage Foundation, Darjeeling. He taught at the School of Forestry & Environmental Studies, Yale University, USA, as McCluskey Fellow during 6 September -- 8 December 2000. In July 2001, Dr R K Pachauri was appointed Member, Economic Advisory Council to the Prime Minister of India. He has also authored 21 books and several papers and articles. Dr. Apple received an MSc from the University of Minnesota in Genetics and Microbiology, and a PhD in Biochemistry from the University of California. Martin Apple is President of the Council of Scientific Society Presidents, an organization dedicated to establishing science policy, developing scientific leadership and promoting increased interaction among scientific societies. He successfully interfaces between the 60 member organization, leading researchers, science educators, Congress people, and the media, organizing interesting and provocative twice-yearly meetings for the Council members and orchestrating the production of concise and timely position papers. 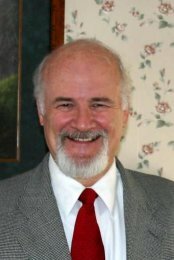 He also is a frequent speaker, advocating for improved science education, federal funding of research, greater interaction and cooperation among scientific societies, and greater involvement of scientists in their community, their societies and at the national level. Dr. Apple is Chairman of the Board of Visitors of the University of Maryland Biotechnology Institute (five nationally renown research centers) and Chairman of the Board of Trustees of the University of Illinois Center for Advanced Research in Behavioral Neurobiology in Chicago. He established the world's first transgenic plant research center (President, International Plant Research Institute, San Carlos, Calif., 1977-82) and has been the CEO of other similar enterprises in California, including the first U.S. computer assisted molecular design R&D center and a high tech business development group. He has worked closely with Congressional representatives in regard to policy and advised about education (Expert advisor, Department of Education, 1996-2001; Member, USDA Blue Ribbon Panel, 2000-01). Dr. Apple has received numerous awards, including: Leadership Citation East-West Center. Board of Governors, 1988. Leadership Citation, Council of Scientific Society Presidents, 1995. Fellow: Amer. Coll. Clinical. Pharmacology and Amer. Inst. Chemists. Fellow - Phi Beta Kappa (Disting. Service Award 1984,1985), Sigma Xi (life member, U Calif Berkeley Chapter), Board of Directors, Chairman, long-range strategic planning committee, 1988-92. In 2002 he was awarded the prestigious Award of The Council of Scientific Society Presidents (CSSP) - The US Nation's Leading Center for Development of Science Leadership and Science Policy. Each year CSSP confers its Award for Support of Science to honour an individual who merits recognition for dedicated support of U.S. science, including support of science and mathematics education, support of free scientific communication, and support of basic research. Dr. Hood is the Vice-Chancellor of the University of Oxford. Dr John Hood was admitted as Vice-Chancellor of the University of Oxford on 5 October 2004. He is the first person in the institution's 900 year history to be elected to the Vice-Chancellorship from outside the University's current academic body. Before coming to Oxford, Dr Hood was for five and a half years Vice-Chancellor of the University of Auckland. During his time there, he served on a number of external bodies, including the New Zealand Vice-Chancellors' Committee, of which he was Chairman from 2002-2004; the Knowledge Wave Trust, which he also chaired; and Universitas 21 Limited and Universitas 21 Global, of which he was a Director. He was also a Member of the Prime Minister's Growth and Innovation Advisory Board and of the Prime Minister's Enterprise Council; New Zealand Secretary for The Rhodes Trust; Trustee of the Asia 2000 Foundation; and a Governor and Trustee of the King's School. Dr Hood has also been a Director of ASB Bank Limited and ASB Group, and of the Fonterra Co-operative Group Ltd, and Chairman of Tonkin & Taylor Ltd. Prior to his return to academia, Dr Hood spent 18 years with one of New Zealand's largest companies, Fletcher Challenge Ltd. He held a number of senior positions at the company and headed, at various times, its Paper, Building and Construction arms. His experience of international business covers Australasia, the Americas, Europe, Asia, and the South Pacific Island countries. Dr Hood has also been a strategic consultant to a number of major corporations. Dr Hood has also been influential in the world of sport, chairing the America's Cup Task Force and acting as a Governor and Executive Board Member of the New Zealand Sports Foundation. In 1995 he was engaged by New Zealand Cricket to chair its major operational, strategic and governance review of the sport; and in 1996 he chaired the Prime Minister's Think-Tank on High Performance Sport. Dr Hood took a BE and a PhD in Civil Engineering at the University of Auckland. He then came to Oxford as a Rhodes Scholar to read for an MPhil in Management Studies. As well as his extensive industry experience, he has also been a Visiting Senior Lecturer in Auckland's Department of Civil Engineering. The Vice-Chancellor is the senior officer of the University. The role of the Vice-Chancellor is to provide strategic direction and leadership to the collegiate University, and to position and represent the University internationally, nationally and regionally. The Vice-Chancellor chairs Council and other principal University bodies, and nominates deputies to chair others. He or she works closely with the Colleges to ensure a coherent vision across all the constituent parts of the University, and works with Council, the Divisions, the Conference of Colleges and Congregation to ensure that the governance, management and administration of the collegiate University are efficient and effective. The Vice-Chancellor is also involved in securing and continuing the growth of the University's financial base, and takes a principal role in the University's fundraising, including the development of relations with alumni. He or she also carries out important ceremonial and civic duties, including matriculation and degree ceremonies. Originally, the Vice-Chancellor was the temporary commissary or deputy of the Chancellor, exercising the Chancellor's powers in his absence. From the early 16th century, the Vice-Chancellor became the chief officer of the University. He was usually a Fellow of one of the colleges or a Canon of Christ Church, and was elected by Convocation, although from 1569 onwards he was nominated by the Chancellor. The Laudian Code of 1636 decreed that the Vice-Chancellor must be a head of a college and by convention Heads of House were nominated in order of seniority. The Franks Commission (1966) decreed that the Vice-Chancellor was to be elected by Congregation (on the nomination of a committee consisting of the Chancellor or Vice-Chancellor, and representatives of Council, Congregation and the Colleges) from among the members of Congregation, and was to serve for four years. The first Vice-Chancellor to be elected under the new arrangements was Alan Bullock, founding Master of St Catherine's, who served from 1969 to 1973. Under the changes in governance which came into effect in October 2000 - as a result of the Commission of Inquiry chaired by Sir Peter North - the Vice-Chancellor is appointed for up to seven years. 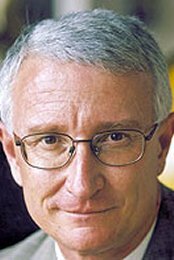 Professor Kliger is Professor of Chemistry, Provost and Executive Vice Chancellor (EVC) of the University of California, Santa Cruz. Kliger received his B.S. in chemistry from Rutgers University and his Ph.D. in chemistry from Cornell University. Before coming to UCSC, he was a postdoctoral research fellow at Harvard University. He has published about 150 scientific articles and three books. The Kliger research group uses time-resolved spectroscopy to study protein reactions. Proteins are central to health, making study of their structure and function critical. While traditional biochemical methods provide insight about the later steps in function, modern optical methods (particularly pulsed lasers and polarized light) reveal previously unknown steps occurring on a short time scale important in biomedical processes providing information that can lead to the development of new or more effective drug therapies. David Kliger and his colleagues initiate reactions with nanosecond laser pulses and follow the course of reaction on subsequent time scales using UV/visible absorbance measurements. In addition, state of the art polarization techniques provide unique structural insight about transient species. Among the reactions that interest Kliger's research group are those involved in the activation of the visual pigment rhodopsin, those of various heme proteins, as well as those that enable proteins to fold into their native structures. In addition to its important role in the process by which we see the dimmest light, rhodopsin is a model system for understanding G protein-coupled receptors (GPCRs). GPCRs represent one of the largest families in the human genome, constituting approximately 5% of our genes. GPCRs bind to and transduce signals for a large variety of ligands, including neurotransmitters, odorants, and hormones. Given their wide prevalence it is not surprising that they mediate the actions of over 50% of the medicines used to treat disorders as diverse as cardiovascular disease, drug dependency, and mental illness. Since most of these medicines were developed serendipitously before it was even understood what GPCRs were, it can conservatively be predicted that GPCR understanding will revolutionize medical treatment. Mechanisms of most GPCRs are difficult to study because concentrations of many GPCRs occuring in our bodies are low and because the vast majority of GPCR's activation kinetics are controlled by ligands which diffuse to them. Rhodopsin, however, has an endogenous ligand that is triggered by light absorption. This makes it possible to study the rhodopsin activation mechanism step by step, from its initial triggering through to final activation. Kliger's group plays an active role in an international effort directed at understanding how this protein family works. Using the newest array detectors, their investigations include studies of native rhodopsins from various species, of artificial rhodopsins created by replacing the native retinal chromophore with synthetically modified retinals, and of variant rhodopsins created by introducing point mutations throughout the protein. Aside from its role in transporting oxygen to our tissues, a process critical to life, hemoglobin is a model system for understanding allostery. Allostery is a mechanism that regulates the function of many proteins by changing the shape of an active site on the protein when a ligand binds to another site. Hemoglobin is highly amenable to such studies, because it binds ligands such as carbon monoxide, which can be rapidly photolyzed off with a laser pulse. The hemoglobin molecule reacts to this laser photolysis with internal structural changes that affect how the ligands rebind. By monitoring ligand reactions with various time-resolved spectroscopic tools (e.g. absorption, circular dichroism, magnetic circular dichroism, etc. ), Kliger's laboratory is determining the ligand binding mechanism and, in the process, the allosteric mechanism in hemoglobin. The Kliger laboratory has used time-resolved circular dichroism (CD) and magnetic circular dichroism (MCD) spectroscopy to illuminate the multi-step nature of allostery in human hemoglobin. Allostery down regulates the ligand-binding strength of the R quaternary state in the T state, enabling efficient off-loading of oxygen to the tissues. Time-resolved CD and MCD of the tryptophan amino acid residues showed that photolysis of ligands from the R state first triggers formation of the Trp b37-Asp a94 hydrogen bond, pictured here in the "hinge" region of the interface that connects the two dimers of the hemoglobin tetramer. This step, in turn, triggers a larger structural change several microseconds later, completing conversion of the R structure to T. This kinetic result helps to explain why Trp b37, which is highly conserved in the sequences of vertebrate hemoglobins, plays such a key role in cooperativity and allostery. The processes by which proteins fold to their native structures are of fundamental interest to biophysicists. This problem has taken on even more significance in recent years. First, a number of diseases have been identified with misfolded proteins. Second, the human genome project has opened doors to the identification of many new proteins important to our physiology. As their sequences are found, accurate prediction of corresponding protein structures will be a major advantage for biomedical investigators as they attempt to determine the function of these proteins and design therapeutic remedies for related pathological conditions. In order to do this, however, scientists will first need to understand the fundamental mechanisms by which proteins fold. Using time-resolved laser spectroscopy, the Kliger group has triggered protein folding with techniques such as fast ligand photodissociation, fast electron transfer, and fast laser temperature jumps. Combined with a variety of spectroscopic probes, they have gained new insights into the early events in protein folding which drive these macromolecules to take on their native structures. Professor Ullman is a highly noted scientist throughout the world in the field of computers, their functions and their application. Ullman studied engineering mathematics at Columbia University and where he obtained his BSc 1963. At Princeton he obtained his PhD in electrical engineering in 1966. His research interests include education using the information infrastructure, database theory, data mining and database integration. He has been the Ph.D. advisor to many notable students including Segey Brin, co-founder of GOOGLE and where he serves on the technical advisory board of the world's leading search engine. He is the CEO of Gradiance an on-line education-technology company that provides assigning and automatically grading services for homework that deals with courses in computer science and subjects in engineering, mathematics and science. His company also offers online tutorials in the knowledge areas of Structured Query Language and JAVA. He is noted for his textbooks on compilers which are known as the Dragon Kook, theory of computation, databases and data structures are all regarded as standard texts in their respective fields. Ullman was employed at Bell Labs for several years. Between 1969 and 1979 he was a Princeton professor. 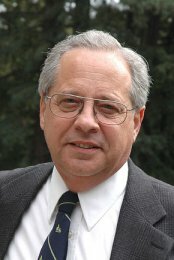 From 1979 he has been at Standford University holding the rank of professor and where presently he is the Stanford W. Ascherman Professor of Computer Science (Emeritus). Between 1990 and 1994 Ullman was chair of Stanford's Department of Computer Science. In 1975 Ullman was awarded a honorary doctorate from the Free University of Brussels and in 1984 he was a recipient of an Einstein Fellowship. He has been a member of the US National Academy of Engineering since 1989 and a Fellow of the ACM (The Association of Computing Machinery) since 1994. Ullman was honoured in 1996 with the award for the 'Best Paper award aby SIGMOD, in 1998 with the Karl V. Karlstrom Outstanding Educator Award and in 2000 the Knuth Prize. Manuel Cardona is the former director of the Max Planck Institute for Solid State Research and was born in Barcelona, Spain, on 7 September 1934. He is a Honorary Professor (Mult) and is a Honorary Doctor (Mult.) of and from respectively, leading international institutions. Cardona, employing basic experimental models and investigative tools such as optical spectroscopy, has helped to elucidate the properties of the elements germanium and silicon and thus stretch the boundaries of both semiconductor and superconductor research. Cardona, now a naturalized U.S. citizen, holds honorary doctorates from around the world. Cardona was one of the Founding Directors of the Institute. He retired in 2000. His department was mainly concerned with optical spectroscopy of semiconductors and high-Tc superconductors in the form of bulk samples, surface layers, and low-dimensional structures like quantum wells, quantum dots and superlattices. Central to his interests is electron-phonon interaction, a topic of particular relevance to both material classes. Experimental methods used at present are Raman, hyper-Raman and Brillouin scattering off and in resonance, hot luminescence, spectroscopic ellipsometry (including synchrotron radiation as a source), optical measurements in high magnetic fields and under high pressure, photoelectron spectroscopy, scanning tunneling microscopy in ultra-high vacuum and X-ray techniques for surface and interface structure analysis. Close collaborations with the synchrotron laboratories in Hamburg (HASYLAB), Berlin (BESSY), Grenoble (ESRF) and Brookhaven (NSLS), the high pressure, technology, molecular beam epitaxy and crystal growth service groups at the MPI, the High Magnetic Field Laboratory and the Institute Laue-Langevin (ILL) in Grenoble have enabled the group to extend the variety of experimental techniques at its disposal. Surface X-ray diffraction and X-ray standing wave measurements are carried out at HASYLAB, ESRF and NSLS, while at BESSY a vacuum UV ellipsometer (5-35 eV) is operated. At NSLS a Fourier ellipsometer for the far infrared spectral range has been built and optimized for measurements of extremely small samples. At ILL neutron scattering is used to study the lattice dynamics of isotopically pure and disordered single crystals. There is also a substantial theoretical effort in computing the electronic and vibronic band structure as well as electron-phonon coupling parameters of the materials under investigation. Topics of recent activities of the group are the vibrational and electronic properties of various compound semiconductors and superlattices, in many cases with controlled isotopic composition, the structure of semiconductor surfaces in the UHV and at the electrolyte interface, as well as electronic Raman scattering processes and crystal field excitations in high-Tc superconductors. Considerable effort, partly in collaboration with the University of California at Berkeley and the Kurchatov Institute (Moscow) and Simon Frazer University (Vancouver), is spent in the growth and characterization of crystals with tailor-made stable isotope composition which are used to investigate isotope effects on a wide range of physical properties such as phonon dispersion, lattice constant, electronic band structure or thermal conductivity (for cv and list of publications see http://isihighlycited.com). Lawrence W. Green is Adjunct Professor at the University of California at San Francisco School of Medicine and Comprehensive Cancer Center. In his profile by the American Journal of Health Behaviour Professor Green was described as the most prolific health education scholar of the past 30 years. Of all the researchers and writers who have contributed to our understanding of health behaviour, none has done it more voluminously than Dr. Lawrence Winter Green. Since 1991, Dr. Green has been professor of preventive medicine and health promotion, and Director, Institute of Health Promotion Research, at, the University of British Columbia. Dr. Green received B.S. (1962), M.P.H. (1966), and Dr.P.H. (1968) degrees each in the area of public health or public health education, from the University of California-Berkeley. Dr. Green is, perhaps, best 'known by health education researchers as one of the developers of the PRECEDE-PROCEED Mode1, which has been used throughout the world to guide health program intervention design, implementation, and evaluation. The continuous evolution of this model demonstrates the interdependence of health education and several social science disciplines. To use his own words: "The newly emerging field of health promotion intersects the bound- aries of the humanities and social sciences with its focus on quality of life, social conditions and behaviour or lifestyle as determinants and consequences of health. This sphere of interdisciplinary study has been my research terrain since completing my undergraduate studies." Dr. Green's work has led him around the world in the identification of the predisposing, enabling, and reinforcing factors that influence health needs and quality of life concerns. This pursuit has enmeshed him in a series of social diagnostic studies for communities and populations in which the societal structures that enhance or compromise the adoption of healthy lifestyles by individuals have been examined. Such work has, in turn, created the need to expand and adapt experimental and quasi-experimental models of research to fit the social and organizational change processes of schools, workplaces, and other institutional settings. Dr. Green's studies of mass-media and community-organization strategies that facilitate dissemination of innovation and change across persons, places, and times have measured such constructs as adoption of health policies and curricula by schools, adoption of pro- health behaviors in communities following carefully orchestrated mass-media campaigns, and adoption of smoking-control policies in workplaces. Prior to his tenure at the University of British Columbia, Dr. Green completed 3 years (1988-1991) as the Henry J. Kaiser Family Foundation's vice president and director of health promotion. During this time, the program was recipient of the Foundation Award of the National Association of Prevention Professionals. Before that assignment, he spent 7 years (1981-1988) at the University of Texas Health Science Center, during which time he was the founding co-director of the CDC-sponsored Southwest Center for Prevention Research, and later, the founding director of the WHO-sponsored Center for Health Promotion Research and Development. From 1979 to 1981, he served during the Carter administration as the first director of the US Office of Health Information, Health Promotion and Physical Fitness and Sports Medicine (now the Office of Disease Prevention and Health Promotion). Prior to that time (1970- 1979), Dr. Green served in various capacities at the Johns Hopkins School of Hygiene and Public Health, was a Ford Foundation Project Associate in what is now Bangladesh, and was a commissioned officer of the US Public Health Service. In his many years in academic settings, Dr. Green has mentored more than 50 doctoral students or postdoctoral fellows. He has held more than two dozen appointments as a visiting scholar at universities throughout the globe. The grant and evaluation contract dollars that he has administered as a principal investigator, director, or co-applicant number in the tens of millions. For his cumulative work, he has been cited with the Excellence Award of the American Public Health Association (1994) and the Doyen Jacques Perisot Medal of the International Union for Health Promotion and Education (1991). Some of the many additional awards include the Healthtrac Foundation Health Education Prize (1998), the John P. McGovern Award (1997), the Distinguished Fellow Award of the Society for Public Health Education (1985), the Presidential Citation (1981), Scholar Award (1986), and the Professional Service Award (1989) of the Association for the Advancement of Health Education, the Scholar Award of the American Alliance for Health, Physical Education, Recreation and Dance (1989), and the Distinguished Career Award of the American Public Health Association's Public Health Education and Health Promotion Section (1978). Dr. Green has authored or co-authored more than 250 chapters, monographs, and articles. Three of his books, including Community Health, Measurement and Evaluation in Health Education and Health Promotion, and Health Promotion Planning: An Educational and Ecological Approach, have been widely adopted, read, and used through multiple editions by more than one generation of scholars. As studies of citation indices have noted before, his written works are among the most cited by health education researchers and practitioners alike. He has been editor or member of the editorial board of more than 30 publications and journals. Now in his fourth decade of significant contribution to health education and health promotion, Dr. Green continues to provide the cutting-edge leadership in research, teaching, and professional service that has been his trademark. His research contributions bring prestige to all who proudly declare their professional title to be that of "health educator." It is a privilege for the American Academy for Health Behaviour to count him among its Fellows and, indeed, a pleasure to acknowledge some of his career achievements. 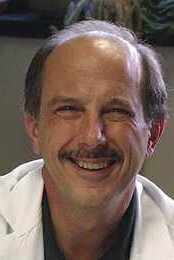 Dr. Guengerich is Professor of Biochemistry and Director of the Center in Molecular Toxicology at Vanderbilt University School of Medicine. Dr. Guengerich has a Ph.D in Biochemistry from Vanderbilt University. 2004 Sidney P. Colowick Faculty Research Award Vanderbilt University, given annually for "excellence in research that serves as a platform for discovery in diverse research areas"
Philip G. Zimbardo is an internationally recognized scholar, educator, researcher and media personality, winning numerous awards and honors in each of these domains. He has been a Stanford University professor since 1968, having taught previously at Yale, NYU and Columbia. Zimbardo's career is noted for giving psychology away to the public through his popular PBS-TV series, Discovering Psychology, along with many text and trade books, among his 300 publications. He was recently president of the American Psychological Association. 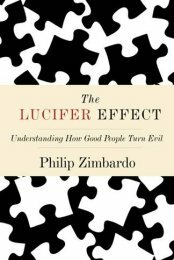 Phil Zimbardo has been teaching psychology for almost 50 years, the last 37 at Stanford. He was retired last year but hired back the next day at Emeritus Professor to design this new course on Exploring Human Nature. Zim loves to teach, do research, write, engage in various social and political activism agenda, and to cook and garden. You will meet two of his three wonderful children, Adam (Stanford, 1985) now a psychotherapist but back in grad school studying Human Sexuality, Zara (Cal, 2003) a massage therapist but back in grad school studying cultural anthropology, and also Tanya (NYU, 2001) back in grad school studying to be a museum curator. Wife Christina Maslach (Stanford Ph.D. 1971) is Vice Provost of Undergrad Education at the University of California at Berkeley, pioneering researcher on Job Stress and Burn Out, and the Heroine of the Stanford Prison Experiment, whose challenge helped terminate it early. 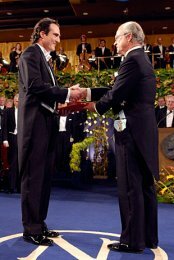 In 2005 Professor Zimbardo, received the The Dagmar and Vaclav Havel Foundation Vision 97 Award in Prague (Oct.5) for the year 2005. The award to Zimbardo is given for this efforts to enhance the human condition by countering evil, ignorance and shyness through research, teaching and social action. 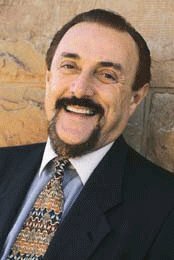 Dr. Zimbardo served as President of the American Psychological Association (APA) in 2002, and is a former Chair of the Council of Scientific Society Presidents (CSSP). The foundation, established by Czech ex-president Havel and his wife, Dagmar, has been annually awarding the prize since 1999. The prize is awarded ?to an individual whose work has made a major contribution to broadening human horizons, drawing attention to lesser known phenomena and contexts, integrating science into the general culture and promoting human views of the world. 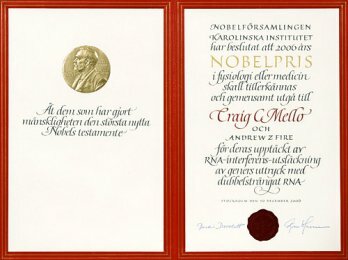 Past winners include: Austrian-born U.S. neurosurgeon Karl Pribram, Economist and Secretary of Labor under Bill Clinton, Robert Reich, Italian writer Umberto Eco, Czech philosopher and biologist Zdenek Neubauer and German-born U.S. computer scientist, Joseph Weizenbaum. De Nucci graduated from the Medical School of Ribeir�o Preto of the University of S�o Paulo in 1981. From 1982 until 1985 he worked with Nobel Laureate Dr. John R. Vane. 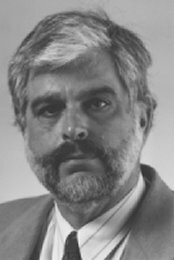 From 1986 until 1988 De Nucci was senior scientist at Saint Bartholomew's Hospital Medical College, part of the William Harvey Research Institute. In 1989 he returning to Brazil and became assistant professor in the Department of Pharmacology at the State University of Campinas. De Nucci became adjunct professor and full professor in the Department of Pharmacology of the Biomedical Sciences Institute of the University of S�o Paulo. He is one of the most prolific inventors in Brazil with 28 patents to his name De Nucci is a member of the Brazilian Academy of Medicine and has had over 200 peer-review papers published in international journals. He founded the Cartesius Analytical Unit where he is principal investigator and which addresses the approval and quality of new drug types. The Galeno Research Centre which undertakes clinical trials was also founded by De Nucci and where he is director and president. He is quite controversial in his views and where in an interview with "The medicine radical" (issue No. 103) he shows some contradictory aspects between the academic activity and the pharmaceutical industry. When De Nucci touches on the effects of the placebo and medicines, he explained that "the percentage of patients who benefit [from medicine] is very small, sometimes 2% or 3%". But where others say with regard to the placebo phenomena that although pharmacologically inactive, known as the placebo effect, has a powerful therapeutic action, going so far as to produce, frequently, an improvement in up to 30% of the patients treated. Indeed, De Nucci claims that "for 90% of the population, medicines do not bring any benefit" and that "the doctor's function is to do a diagnosis and to prescribe a remedy�Whether the patient can buy the medicine or not has never been a medical problem". The problem he says is the spending power of the population and the affordability of drugs in that respect and where it is also a doctor's problem as well. For if patients cannot afford the drug, there is no point in prescribing them. Common sense really but where all developing nations have this dire problem and one where the developed world should address. Nick Maxemchuk received his B.S.E.E. degree from the City College of New York, and the M.S.E.E. and Ph.D. degrees from the University of Pennsylvania. For the past 6 years he has been a professor in the Electrical Engineering Department of Columbia University. Prior to joining Columbia he spent 25 years at Bell Labs and AT&T Labs, as a member of the technical staff, department head, and technical leader. Prior to joining Bell Labs, he spent 8 years at the RCA David Sarnoff Research center, as a member of the technical staff. Most of his research has been in computer-communications networks. 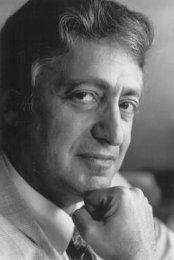 Among his accomplishments, in the early 70's he invented dispersity routing, which has recently been applied to ad hoc networks; in 1983 he designed and implemented the first reliable broadcast protocol, before the introduction of multicast; in the mid 80's he invented the Manhattan Street Network and applied deflection routing to the regular topology; and, in the early 90's he pioneered the first modern application of steganography and applied it to the first issue of an IEEE publication that was distributed on the WEB. He has been the Editor-in-Chief of the IEEE Journal on Selected Areas in Communications, an editor for the IEEE Transactions on Communications, and the JACM, was on the founding committee of the IEEE/ACM Transactions on Networking, and served on their steering committee for 11 years. In 2006 he received the Koji Kobayashi Award for his work in computer communications. 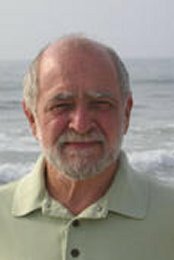 He has also been awarded the IEEE's Leonard G. Abraham Prize Paper Award in 1985 and 1987, for his papers on data and voice on CATV networks and the Manhattan Street networks, and the William R. Bennett Prize Paper Award in 1997, for his paper on an anonymous credit card. He became a Fellow of the IEEE in 1989, and was cited for his work on metropolitan area networks. S. Low, N. F. Maxemchuk, S. Paul, "Anonymous Credit Cards and Its Collusion Analysis," IEEE Trans. on Networking, dec. 1996, vol. 4, no.6, pp 809-816. N. F. Maxemchuk, "Routing in the Manhattan Street Network," IEEE Trans. on Commun., May 1987, vol. COM-35, no. 5, pp. 503-512. N. F. Maxemchuk, A. N. Netravali, "Voice and Data on a CATV Network," IEEE J. on Sel. Areas in Commun., vol SAC-3, No. 2, Mar. 1985 pp. 300-311. E. L. Hahne, A. K. Choudhury, N. F. Maxemchuk, "DQDB Networks With and Without Bandwidth Balancing," IEEE Transactions on Communications, Vol. 40, No. 7, July 1992, pp 1192-1204. W. H. Tranter, D. P. Taylor, R. E. Ziemer, N. F. Maxemchuk, J. W. Mark, "The Best of the Best: Fifty Years of Communications and Networking Research," IEEE Press, A John Wiley and Sons, Inc. Publication, 2007. N. F. Maxemchuk, "Metropolitan Area Networks (MANS)," Wiley Encyclopedia of Electrical and Electronics Engineering, John Wiley and Sons Inc, Publisher, vol. 12, pp. 602-616, Feb. 1999. N. F. Maxemchuk, "Overload Control in a Packet-Switching Cellular Environment," Patent 6,411,810, Issued June 25, 2002. N. F. Maxemchuk, D. Shur, "A Distributed Internet Multicast System for the Stock Market," Patent Submission, Sept. 1. 1999. N. F. Maxemchuk, D. McManamon, D. Shur, A. Zelezniak, "A Network based Service for Originator-Initiated Automatic Repair of IP Multicast Sessions," Patent number 6,782,490, Issued August 24, 2004. N. F. Maxemchuk, "Applying MSTDM to Cellular Radio Systems," Patent Filed July 24, 1998. N. F. Maxemchuk, "Packet Switching Architecture in Cellular Radio," Patent Number 6,219,346, Issues April 17, 2001. N. F. Maxemchuk, "Packet Transmission over Cellular Radio," Patent Number 6,614,773, Issued September 2, 2003. N. F. Maxemchuk, "Overload Control in a Packet-Switching Cellular Environment," Patent 5,970,412, Issued Oct. 19, 1999. N. F. Maxemchuk, "System and Method for Capacity Management in Multi-service Networks," U.S. Patent 5,768,123, Issued June 16, 1998. Canadian patent 2,020,236 issued Dec. 17, 1996. J. T. Brassil, S. Low, N. F. Maxemchuk, L. O'Gorman, " Robust Document Marking and Identification Strategy," Patent 5,629,770, Issued May 13,1997. S. Low, N. F. Maxemchuk, S. Paul, "Anonymous Credit Card Transactions," Patent Number 5,420,926, Awarded May 30, 1995. J. T. Brassil, S. Low, N. F. Maxemchuk, L. O'Gorman, "Document Copying Deterent Method," Patent 6086706, Issued July 11, 2000. A. K. Choudhury, N. F. Maxemchuk, S. Paul, H. Schulzrinne, "Method of Protecting Electronically Published Materials Using Cryptographic Protocols," U.S. patent 5,509,074, issued April 16, 1996. E. L. Hahne, N. F. Maxemchuk, "Fair Access of Multi-Priority Traffic to Distributed-Queue Dual-Bus Networks," U.S. Patent No. 5115430, issued May 19, 1992. E. L. Hahne, N. F. Maxemchuk, "Communications System," Techniques to improve the fairness of DQDB, Patent #5072443 Dec. 10, 1991. N. F. Maxemchuk, "Mesh Based Switching Network," Patent 4,797,882 Awarded Jan. 10, 1989. N. F. Maxemchuk, J-M. Chang, "Reliable Broadcast Protocol for a Token Passing Bus Network," Patent 4,725,834 awarded February 16, 1988. N. F. Maxemchuk, A. N. Netravali, "System and Method for Controlling a Multiple Access Data Communications System Including Both Data Packets and Voice Packets Being Communicated Over a Cable Television System," Patent 4,534,024, Awarded Aug. 6, 1985. N. F. Maxemchuk, "Signal Sequence Editing Method and Apparatus with Automatic Time Fitting of Edited Segments," Patent 4,375,083 awarded Feb. 22,1983. M. R. Buric, N. F. Maxemchuk, "Visual Display Without Finger Repositioning," Patent 4,333,097 Awarded Jun 1,1982. N. F. Maxemchuk, "System Apparatus and Method for Controlling a Multiple Access Data Communication System Including Variable Length Data Packets and Fixed Length Collision-Free Voice Packets," Patent 4,516,239, Awarded May 7, 1985. N. F. Maxemchuk, "Spread Spectrum Arrangement for (de)Multiplexing Speech Signals and Nonspeech Signals," Patent 4,313,197 Awarded Jan. 26,1982. N. F. Maxemchuk, J. A. Stuller, "Technique for Reducing Transmission Error Propagation in Adaptively Predicted DPCM Video Encoder," Patent 4,255,763 Awarded Mar. 10, 1981. N. F. Maxemchuk, D. K. Sharma, "Technique for Separating Composite Video Signals," Patent 4,141,035 Awarded Feb. 20,1979. N. F. Maxemchuk, "Error Detection and Correction," Patent 4,110,735 Awarded May 12, 1977. N. F. Maxemchuk, "A Digital Video Recording System," Patent Filed 1976 RCA. N. F. Maxemchuk, "Digital Sampling Rate Conversion of color TV signal," Patent 4,106,053 Awarded Aug. 1, 1977. J. Hartman, N. F. Maxemchuk, "Bidirectional digital position encoder," Patent 4,194,184 Awarded Apr. 15, 1977. 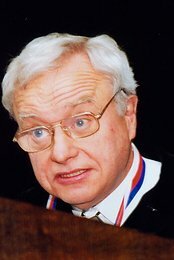 H. E. White, N. F. Maxemchuk, "Data Loop Communication System," Patent 3,879,582 Awarded Apr. 22, 1975. N. F. Maxemchuk, H. E. White, "Data Processor for a Loop Data Communication System," Patent 3,879,710 Awarded. N. F. Maxemchuk, "Loop Controller for a Loop Data Communications System," Patent 3,919,484 Awarded Nov. 11, 1975. L. Kleinrock, J. Sterbenz, N. F. Maxemchuk, S. S. Lam, P. Steenkiste, H. Schulzrinne, "The National Exchange for Networked Information Systems: A White Paper," Oct. 1993. N. F. Maxemchuk, "Dispersity Routing in Store and Forward Networks," Ph.D Dissertation, University of Pennsylvania, May 1975. N. F. Maxemchuk, "Algebraic List Decoding," Master's Thesis, University of Pennsylvania, May 1970. E. L. Hahne, N. F. Maxemchuk, A. K. Choudhury, "Improving DQDB Fairness", Contribution No. 802.6-89/52 to the IEEE 802.6 Working Group, September 26, 1989. Additional Bell Labs Reports - 9no. in total. Additional RCA Labs Reports - 13no. in total. Professor Ed Schneider is the President and Chief Executive Officer of the Santa Barbara Botanic Gardens. 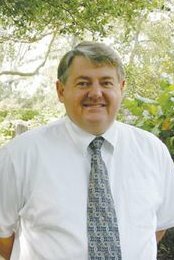 In 2005 Ed Schneider was the President of the Botanical Society of America. The Botanical Society of America encompasses all areas of plant biology, including development, physiology, reproductive biology, evolution, phycology, genetics, mycology, ecology, systematics, molecular biology, and paleobotany. The BSA is one of the world's largest societies devoted to the study of plants and allied organisms, and functions as an umbrella organization covering all specialties. Since the strength of the botanical profession and its effective voice in world science today is dependent on the combined support of all taxonomic and disciplinary interest groups, all specialists are strongly encouraged to join and become active in the Botanical Society of America. The Santa Barbara Botanic Garden is an educational and scientific institution fostering stewardship of the natural world through inspired learning, rigorous scholarship, and premier displays. With an emphasis on plants native to California, the Garden advances the knowledge and understanding of plant life and provides a rewarding experience for visitors. In 1925 the Carnegie Institution suggested a cooperative undertaking with the Santa Barbara Museum of Natural History to administer what it envisioned as a botanical garden "...reaching from the sea to the crest of the mountains, connected by a drive lined with trees, shrubs and flowers from all parts of the earth." Plant ecologist Dr. Frederic Clements came to Santa Barbara as Carnegie's representative in search of geographic sites that could be used for experimental plant research. In 1926 this plan became a reality when Anna Dorinda Blaksley Bliss, a local philanthropist, purchased 13 acres in Mission Canyon for the museum. One can indeed see the mountains and the ocean from this site. This initial gift, a substantial endowment given in 1927, and subsequent acreage given in 1932 provided the foundation for the Blaksley Botanic Garden's creation and first 10 years of operation. In 1939, the Botanic Garden incorporated as a separate organization and was renamed the Santa Barbara Botanic Garden. The aim of the founders was to create a garden that would "...unite the aesthetic, educational and scientific." Based on concepts developed by Clements, the garden was originally laid out in various plant communities, such as chaparral, desert, and prairie, with an emphasis on plants from the Pacific slope of North America. Experimental groupings of significant genera such as Ceanothus and Eriogonum (buckwheat) were also displayed for horticultural research and to educate the public. By 1936 this emphasis had narrowed to plants native to the state of California and now includes northwestern Baja California and southwestern Oregon, which are part of the California Floristic Province. In a community that reveres its cultural and architectural heritage, preserving the Santa Barbara Botanic Garden's rich legacy is of great importance. Formal recognition began several years ago when the Garden's Mission Dam was named a State Historic Landmark. To further this preservation effort, the Garden initiated a request for the dam to be designated a Santa Barbara County Landmark, which was granted in 1983. In 2003, a remarkable partnership between the Garden, the community, and the County of Santa Barbara Historic Landmarks Advisory Commission resulted in the adoption of a resolution granting County Historic Landmark status to 23 of the Garden's 78 acres, the Aqueduct, Indian Steps, Entry Steps, the Information Kiosk, the Caretaker's Cottage, the Blaksely library, and the Campbell Bridge. Professor Vadasz is Professor of Mechanical Engineering at the Northern Arizona University. His work includes international cooperation with other institutions around the world that address physical problems at national level. 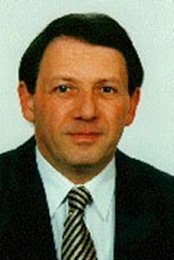 According to his 1997 ASME citation in his 18 years (now 28 years) of engineering practice, Vadasz has made outstanding contributions to industry and academia. After obtaining his bachelor's degree from the Technion-Israel Institute of Technology, he did his postgraduate studies while holding senior industrial positions in Israel Electric, and was awarded both Sc.M. and Sc.D. degrees from the Technion. At Israel Electric, he evaluated the evaporation rate from the Dead Sea, which was one of the uncontrollable fundamental parameters of the Mediterranean-Dead Sea Project. Later, he initiated and directed the feasibility studies of the Compressed Air Energy Storage Project, which included a techno-economical study and optimization of the project's fundamental design parameters. Vadasz was also involved in an environmental study on the impact of a Pumped Energy Storage Project on the lower reservoir aquatic ecology, through modeling the species dynamics and control in the lower reservoir. In 1991, he joined the University of Durban-Westville and was involved in research of natural convection in porous media. He established the fundamentals of the field of flow and heat transfer in rotating porous media and his numerous related publications in this field culminated in two chapters in books. Employment History Northern Arizona University - Department of Mechanical Engineering, 7-2002-present. PrEng - Professional Registration with the Engineering Council of South Africa (ECSA). PR - Professional Registration with the Israeli Registrar of Engineers and Architects. FASME - Fellow of the American Society of Mechanical Engineers (ASME). FSAIMechE - Fellow of the South African Institution of Mechanical Engineering (SAIMechE). MNYAcadSci - Member of the New York Academy of Sciences (1995-1996). MIsrBEA - Member of the Israeli Board of Engineers and Architects (1980-1990). BEJAN, A., VADASZ, P. and KR�GER, D.G. (ed. ): Energy and the Environment, Kluwer Academic Publishers, Dordrecht, ISBN 0-7923-5596-2, 1999. VADASZ, P.,: Non Linear Convection and Stability in Porous Media , in preparation for publication. VADASZ, P.: "Techno-economical Evaluation and Optimisation of Compressed Air Energy Storage", Kilkis, B., Kakac, S., (ed. ), Energy Storage Systems, NATO ASI Publ., Series E., Kluwer Academic Publishers, Dordrecht, pp. 649-672, 1989. (invited chapter). VADASZ, P.: "On the Peak/off-peak Price Functions Based on Marginal Costs Methods to be Used in Energy Storage Projects", Kilkis, B., Kakac S., (ed. ), Energy Storage Systems, NATO ASI Publ., Series E., Kluwer Academic Publishers, Dordrecht, pp. 605-617, 1989, (invited chapter). VADASZ, P.: "Flow in Rotating Porous Media", Fluid Transport in Porous Media, in Advances in Fluid Mechanics, Vol.13, P. Du Plessis (ed), Computational Mechanics Publications - WIT Press, Southampton, UK, pp.161-214, 1997 ( invited chapter ). VADASZ, P.: "Free Convection in Rotating Porous Media", Transport Phenomena in Porous Media, I. Pop and D.B. Ingham (ed), Elsevier Science, pp.285-312, 1998 ( invited chapter ). VADASZ, P.: "The Impact of Energy Storage Technologies on the Environment", Energy and the Environment, Bejan, A., Vadasz, P., and Kr�ger, D. G., (ed. ), Kluwer Academic Publishers, Dordrecht, pp.135-147, 1999 ( invited chapter ). VADASZ, P.: "Fluid Flow and Free Convection in Rotating Porous Media", Handbook of Porous Media, Marcel Dekker, New York, 1999 ( invited chapter ). accepted for publication, in press. VADASZ, P.: "Weak Turbulence and Transitions to Chaos in Porous Media", Handbook of Porous Media, Marcel Dekker, New York, 1999 (invited chapter). accepted for publication, in press. VADASZ, P.: "Compressed Air Energy Storage"
Dr. Derose is a policy Researcher at the RAND Corporation. Kathryn Pitkin Derose has been honored with a 2005 Presidential Early Career Award for Scientists and Engineers, the nation's highest honor for professionals at the outset of their independent research careers. Derose was nominated by the Department of Health and Human Services: National Institutes of Health for work that "shows exceptional promise for leadership at the frontiers of scientific knowledge during the twenty-first century." On July 26, she was honored with 55 award recipients at a White House ceremony. "I was delighted that Dr. Derose was put forward by NICHD (National Institute of Child Health and Human Development) and selected by the President's Office on Science and Technology for this Science and Engineering focused award," says Dr. Susan Newcomer of NICHD's Demographic and Behavioral Sciences Branch. "It's so important for the social and behavioral sciences to be included, rather than treated as 'second class.' We nominated her both because of her interesting and multivaried research and service experience and because of the timeliness and rigor of the study she is conducting with NICHD funding." The award provides five years of supplemental and continuation funding for Derose's current work as a principal investigator on an NICHD-funded study RAND is conducting on Urban Congregations' Capacity for HIV Prevention & Care. "The funding will allow us to do a more comprehensive study, including qualitative and quantitative components," says Derose. "It will also allow us to take the next step, after understanding better the 'who, what, and how' of congregational involvement in health and HIV/AIDS, to develop and test a collaborative intervention along with our community partners. It might also provide some support to begin exploring partnerships for similar studies and projects in Latin America, which has been a long-standing interest of mine." Derose came to RAND in 1994 to be a full-time project director of a five-year randomized trial of church-based mammography promotion in Los Angeles County. A few years later, she enrolled in the Ph.D. program in health services at UCLA and continued to work part-time at RAND until she completed her degree in 2003. She then accepted a full-time position in December 2003. 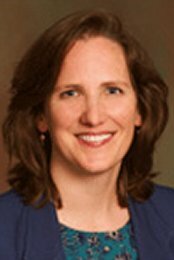 In addition to the NICHD-funded study, she is co-investigator on the access team of the COMPARE project and has contributed to the CAHPS project and the Gates Foundation-funded project on Modeling the Benefits of Investments in Global Health Diagnostics. She also has collaborated with the Venice Family Clinic and Behavioral Health Services, Inc. on a pilot project funded by RAND Health that explores health needs and resources among low-income residents and faith-based organizations on the Westside of Los Angeles and Inglewood. From 1999 to 2004, she led RAND's evaluation of the Community Voices Miami project. Derose has a B.A. in Latin American studies from Duke University, an M.P.H. in population and family health from UCLA, and a Ph.D. in health services from UCLA. The World Innovation Foundation has long respected Wikipedia. Its principles of openness and information (and therefore opportunity) for all are recognised as honourable and enlightened and are not dissimilar to the principles the WIF is striving for in producing a counterpoint to the closed Research and Development environments dominating world industry. Sadly, however, contact with those running and organising Wikipedia has left the WIF's faith and trust in this organisation and its websites seriously undermined. The WIF's work is backed up by its large membership. The Foundation is now a charity and is actively working as an advisory body, as well as building up support for projects such as the Open Research Establishment. The WIF's comparative youth ensures that, outside our immediate sphere of influence, we are not as well known as many organisations. This also ensures we are unlikely to feature in printed encyclopaedias for some time yet. However, a website such as Wikipedia, open to any subject, updated in real time and not limited in size, should be an ideal place to present information about the Foundation, with the exception that there are no professional writers and researchers working for Wikipedia looking for comparatively obscure subjects to include, as there are in commercial encyclopaedias. This situation poses the Foundation a problem. Most people with in-depth knowledge of the WIF are in some way connected with the Foundation, and those that the WIF works with are not encyclopaedia researchers. Putting together a meaningful article without contravening the strict rules on self-promotion is difficult. Sadly, Wikipedia makes no distinction between charities entering information about themselves to clarify their work and businesses or individuals entering information about themselves for financial gain. This was made very clear to the WIF in the heavy-handed and ignorant way in which Wikipedia's editors responded when the Foundation tentatively started a presence on the online encyclopaedia. The WIF is not alone in voicing concern for the way Wikipedia is run. Wikipedia has become an increasingly controversial presence on the internet. Few elements of Wikipedia's management or its organisational cornerstones have escaped criticism, with articles pointing out the flaws in allowing anyone, including anonymous visitors, to edit the site's content, the complete lack of accountability this brings, the lack of robust editing, peer review and version agreement, the behaviour of certain editors and even (quite ironically) the site's past control of anti-Wikipedia sentiment, without question a form of self-promotion. Below are links to a small portion of such articles, along with links to our first-hand experience of those running Wikipedia. The Foundation recognises the hard work put into Wikipedia by many researchers, writers and editors whose entries on the site should make it into the valuable resource it deserves to be. It is very upsetting that this work will never receive the recognition and trust it deserves while it is swimming amongst anonymously written, badly researched mis-information approved by editors such as those that the WIF encountered. Death by Wikipedia: The Kenneth Lay Chronicles - article on Wikipedia's flaws with the misleading Wikipedia edits that followed the Enron Chief Executive's death used as an example. A false Wikipedia 'biography' - an example of misuse of anonymity on Wikipedia. This article also touches on other sites, such as answers.com, 'scraping' data from Wikipedia and displaying it on their own site without checks for accuracy. The Great Failure of Wikipedia - an article written in 2004, and the first of many by this author about Wikipedia, it's relevance today demonstrating Wikipedia's lax attitude towards correcting its flaws. Wikipedia vs. Britannica - Interview with Tom Panelas - an interview in the aftermath of Nature magazine's controversial comparison of the two encyclopaedias. What's wrong with Wikipedia? - details Wikipedia's unauthoritative nature. A follow-up article covered their unprofessional attitude to criticism. The pages below are duplicates of e-mail conversations and conversations on Wikipedia's discussion pages. Links directly to the relevant discussion pages have not been used given the ease with which the information can be removed from Wikipedia. The WIF's experience of Wikipedia - a transcript of the conversations between Dr. David Hill and the WIF. Wikipedia's treatment of Xanthos Menelaou - another heavy-handed example of Wikipedia editing, this time their tactless attitude towards the WIF's recently deceased Deputy Chief Executive. Conclusion for members and readers of this article.